4) If Earth were a ball 25,000 miles in circumference as NASA and modern astronomy claim, spherical trigonometry dictates the surface of all standing water must curve downward an easily measurable 8 inches per mile multiplied by the square of the distance. This means along a 6 mile channel of standing water, the Earth would dip 6 feet on either end from the central peak. Every time such experiments have been conducted, however, standing water has proven to be perfectly level. I’ve notice when I go to viewpoints no matter how high up you go the edge of the land always seems to be the same. Go to Eastern Oregon and vind a high vantage point and no matter how high up you are you don’t get to see the curve. Distance always seems to be the same. Wouldn’t it be weird if modern science is bull shitting us just to keep the global elites in power? The bible might have real truths hidden in it and the global elites are working super hard to push the bible away so we cannot ever know or prove ‘nuthin’. In Canada some parts of it carrying a bible in public is a court offense but NOT the Koran. 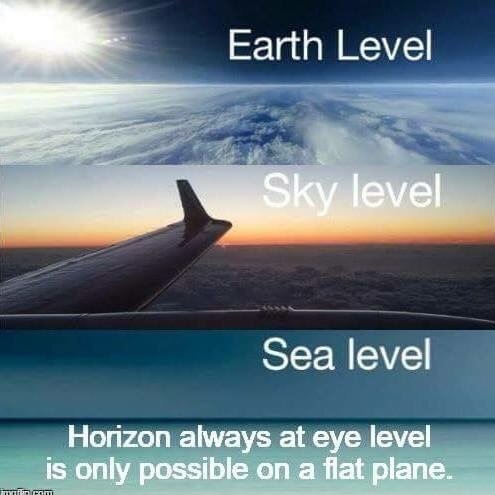 Guys, you need a minimum of a 35000 metre height (~115000 feet) in order to see a slight curvature. In addition, it seems that people forget about calculus! If you zoom in close enough to a curve, it will actually end up almost straight. Ever wonder how people determine the slope and length of a curve? With this principle. The Earth is so large and we are so small that it appears straight to us. 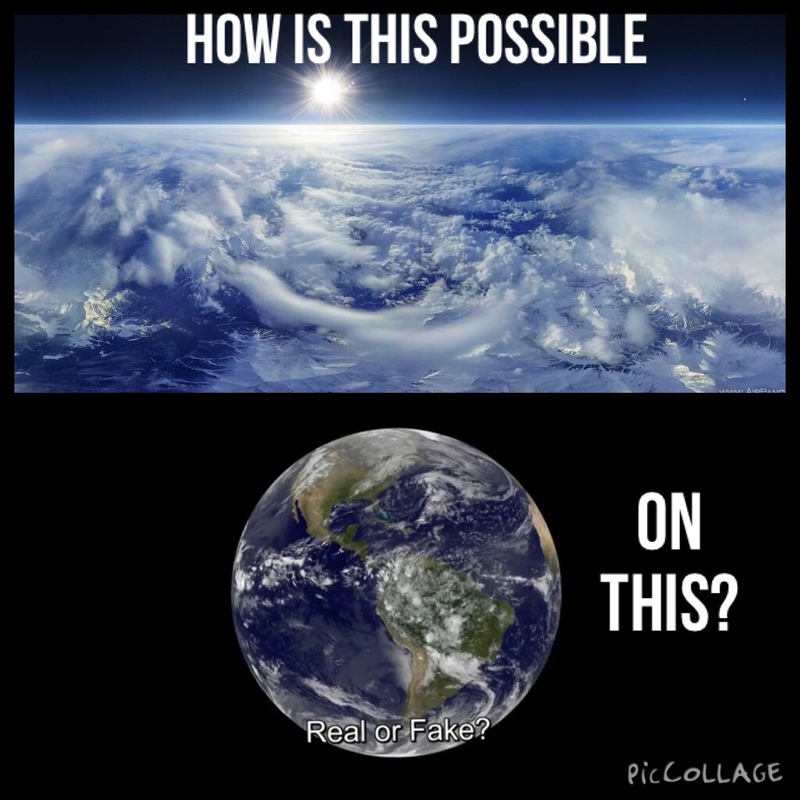 Aside from the actual visual aspect of it, if we consider a planar Earth, that would nullify modern physics. Long-distance snipers have to take the curvature of the Earth into consideration when making an incredibly long shot. There’s also the fact that objects disappear behind the horizon at enough distance. A planar Earth would not cause this to happen. Now, looking at the “level ocean” theory above…wouldn’t all the water spill off the Earth if it were a disc? All of these “Top Tens” are indeed deniable. Landon, have you actually looked into what that curvature should be based on what size science says our earth is? They claim .666 feet per mile squared. Where you can see for many, many miles left to right like at the ocean, where is that curvature? Because your eyes, as a vantage point, have a height above the surface of the earth. If you were lying flat on the ground, you’d be able to see significantly less. Which is why, if you’re on the beach and watch the sunset, then run up a set of stairs quickly – not even a high-speed elevator, you can get another glimpse of the sun because you increased your vantage point height from the surface. Furthermore, that rate wouldn’t be linear – think about it. 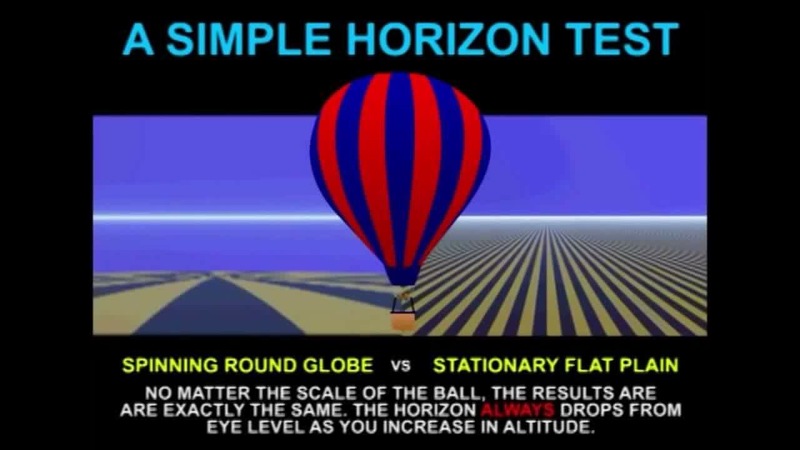 On a ball, the curve is insignificant to the plane on small distances and, for a basketball, would result in maybe 0.1 inches drop for 1 inch from the surface, but 4 inches over and you would have dropped 3 or so inches. It matters not how many multiple miles one sees at the horizon. 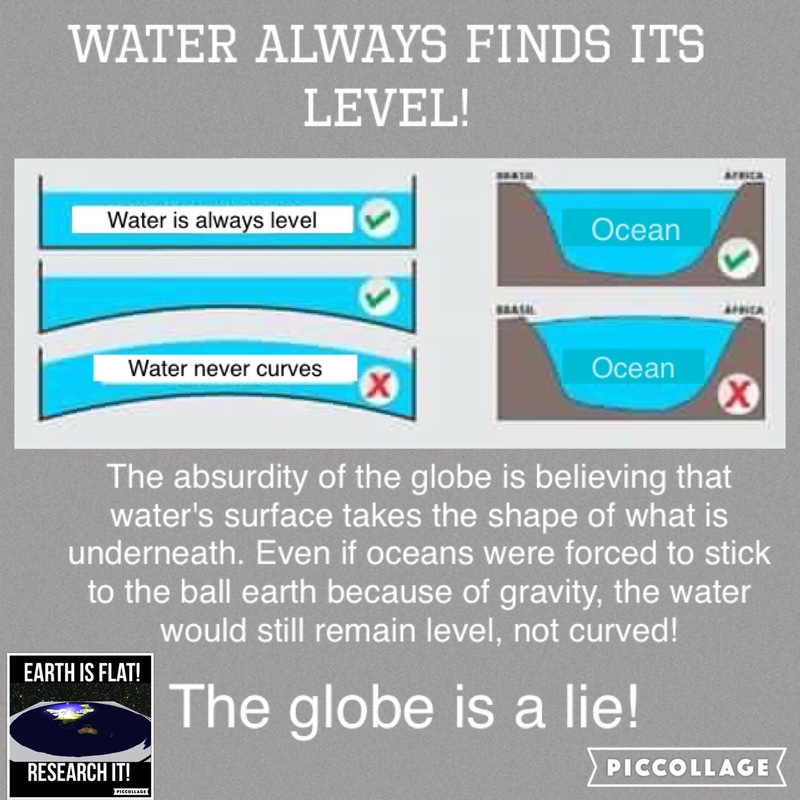 My claim is you should see curvature, if water actually clings to a ball. It would be evident at ANY scale. However, water proves to be always flat and level in its resting state. That evidence alone contradicts the spinning globe theory presented us from birth as fact. Or provide your contradictory evidence please. Thanks. Thanks for the additional information.If I understand what you’ve said, a globe earth with circumference of any size (e.g.100-1,000,000 miles), would, by decree, have a visible curve. There is no need to consider globe size as you’ve claimed. I hope I’m correctly using your claim to offer specific examples to confirm I understand . So then, you have no evidence for any curvature to provide. Because there is none, as you probably know. You and FYA have an awful lot in common when it comes to your criticism, deflection, and lack of supporting proofs. Globe size? There is no globe. You’ve provided ZERO evidence for one. If there were curvature it would be present in every example of water larger than the molecular scale. Instead, the molecules at the surface line up side by side and perfectly flat until interrupted or where touching another surface. Criticize? I don’t get where you’re coming from. I’ve not even been disrespectful, much less using criticism. I’m not making or trying to make any claims; all I’m trying to do is understand yours. In my mind, using numbers helps me clarify the nature of something; nothing more. I have no evidence to provide, as I’ve not made any claims. I suppose you don’t need to help others understand your claims; I’m OK disregarding them as not being specific enough to provide me with meaning. Oh, I just saw your “globe size” comment, and I’m sorry if my intent and language wasn’t clear. When you used “should be” and curvature earlier, I was using that part as the reference point to mention curvature, and I used globe instead of science as you did. You were critical of my ‘many,many miles’ statement, claiming distances needed to be clearer to be considered. I countered that statement with distance isn’t important and asked you to provide proof of the alleged curvature. So far you have avoided providing any proof for consideration. You claim to be more comfortable using numbers to clarify the nature of something. Though I don’t think numbers are inherently natural, I will welcome the use of any in your evidence of curvature. I suggested a curve of .666′ per mile squared based on the current math science has provided. Do you disagree with the modern scientific calculations? Use numbers or visuals, your choice. There is NO curvature to the earth is my point. poolman, my apologies for a longer response. You’ve made a number of [comments] that I want to address as a whole, and it will take a bit to include comments for context, followed by individual replies. I contend this is false; please quote my words as evidence that I ever mentioned “clearer” or “considered” (reasonable synonyms for these terms apply, of course). I haven’t ever claimed curvature as true or false; I therefore have no responsibility to provide any justification on this question for either position or claim. Absolutely true; this was in the context of my example of obviously small and large values, and was an attempt to get clarification of your words “where you can see for many, many miles”, in an attempt to understand your thoughts. You have had several chances to let us know what this means, without a reply. I submit this is a clear case of deflection, lack of supporting information, and perhaps even disrespect. Do you think we can’t tell there would be a significant difference of seeing 3 miles vs.100 miles across the horizon? “Where you can see for many, many miles left to right like at the ocean, where is that curvature?”. The question I’m trying to understand is how may miles does to take to “not see that curvature”; which is another way of stating your claim (please correct me if that is in error). If you decide that you decline to explain your words, I’ll understand and I’ll decline to reply. After all, as my teachers always told me: “if you don’t show your work, you don’t get the credit”. So, in an attempt to understand your meaning, let me ask: You aren’t sure about the distance implied or the words used? Many and mile are common words people fluent in English understand. Many constitutes more than a few. Mile is an actual linear distance that can be measured. The viewing distance isn’t critical. That wasn’t the point. The point is that there is NO CURVATURE EVIDENT at any distance or scale. I have made my observations and have done my own research. My conclusion is consistent with other civilizations that have existed over the millennia upon this earth plane. Aha. The old fence straddle. I asked you if you agree with science’s theory and their claim of the earth being a globe with the dimensions (numbers) they provide describing it. With this claim, you are saying you just don’t know and haven’t done any of your own research. Interesting to me is how dribble like that passes for science nowadays. Gravity isn’t real, but is the only glue that holds their cosmological theories together. It looks like the make believe scientist, are running out of balderdash. I do, really wonder where they will eventually take this, if the general population keeps their head in the sand as they are currently doing. Really where can technology go, there is no outer space to travel in and explore. So all this made up technology used to send the men and rockets into made up outer space is just that, lies. The creation of the computer and what it has allowed has keep the general population satisfied for now. But when 10,20 years from now technology begins to not be as satisfying. And people are not zooming to the moon in their own personal rockets will they began to wake up.